A superb two bedroom apartment located in the heart of Canary Wharf boasting stunning views and a sylish neutral décor. 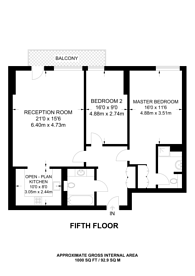 Situated in an imposing and attractive modern development. Discovery Docks West is an imposing and attractive modern development ideally situated for local amenities and a comprehensive selection of trendy bars and restaurants.